I love this two piece, the skirt is maxi as well as high waisted...making the strapless top almost look like it's attached to the skirt. 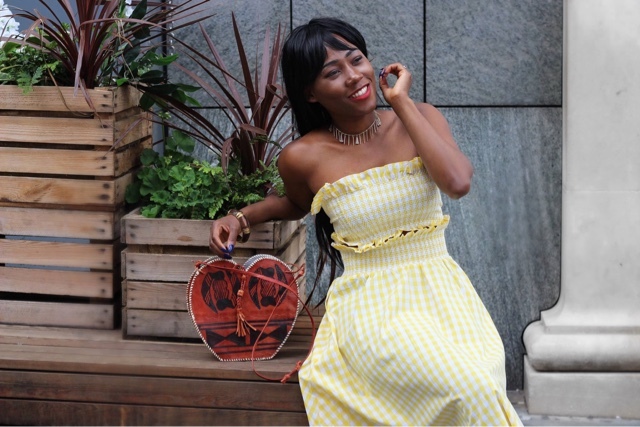 This outfit is made up of all the things I love, yellow is one of my favourite colours, it's just a happy colour perfect for summer. 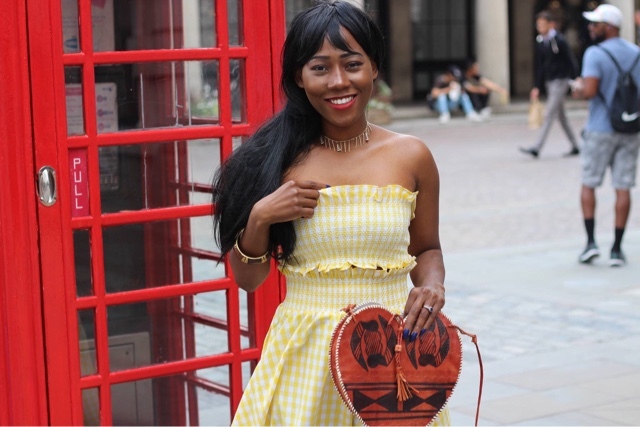 I finished off the look with my pink faux fur heels and I carried this beauty of a bag for the first time... 🤗 how would you style this two piece? 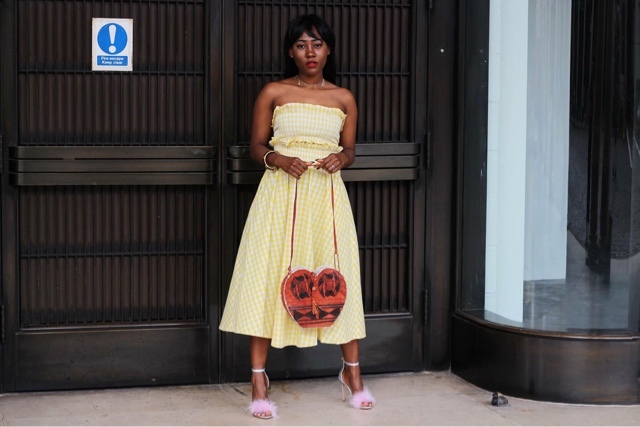 I am loving everyone's Summer style and sadly don't want the season to end. You are killing it in this outfit. Yellow looks amazing on you Nancy. How cute are those heels and bag! Well done babe. 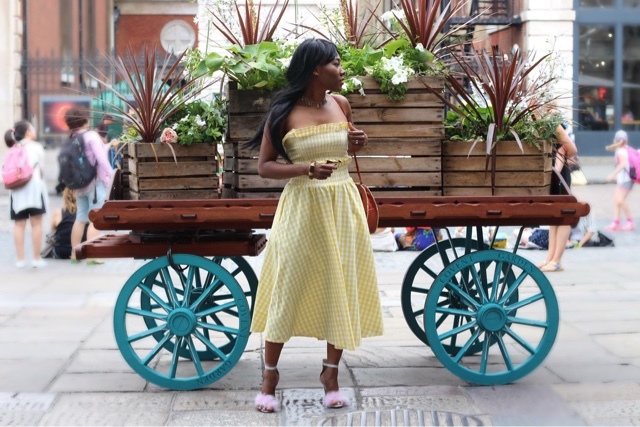 This dress is lovely and your shoes are so cute! 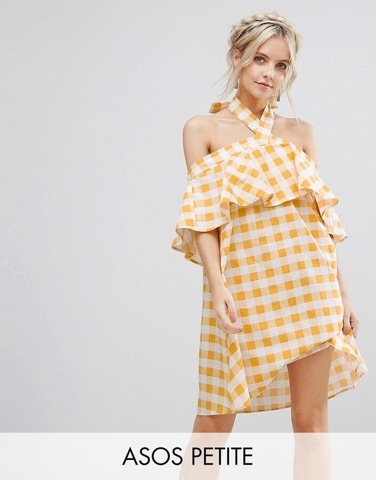 Gingham had definitely been shaking things up on the fashion scene. I love hoe you styled yours with the addition of those cute heels. Beautiful.